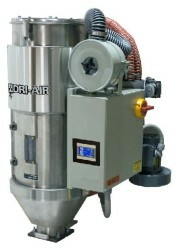 AHM dryers save valuable floor space by combining the dryer with the hopper – No Compressed air required! 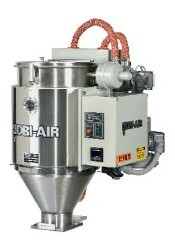 Press / Extruder mounted dryers free up floor space and are available for process rates up to 40 lbs/hr. AHM-1 dryers include ELC control, AHM-2-4 dryers include our 4.3” color touch screen. On-demand regeneration based on ambient conditions, materials and process rates – not a fixed time cycle!